Established in 2010 to provide chocolate to fine dining restaurants in the San Francisco Bay Area, La Forêt has developed into a true chocolate atelier. 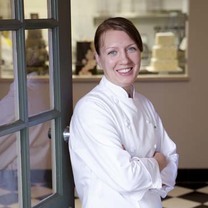 Calling on her pastry training, Wendy works closely with chefs to design and execute chocolates with unparalleled attention to flavor, texture and presentation. She created her innovative "allocation" program to bring these limited-production creations to a wider public and stocks her Napa micro-boutique with seasonal treats. Before opening La Forêt, Wendy trained at Le Cordon Bleu Paris and honed her craft at some of the industry’s top establishments including Patrick Roger in France and, most recently, The French Laundry in Yountville, California. In 2005, Wendy received the prestigious Julia Child Endowment Fund Scholarship from the International Association of Culinary Professionals. Her program included study at the École Lenôtre and traveling for several months throughout France visiting prominent chocolatiers. La Forêt has been featured in many publications, newspapers and blogs including Food & Wine, Martha Stewart Living, Brides Magazine, The San Franisco Chronicle, Edible Marin & Wine Country, Eater SF and AFAR. 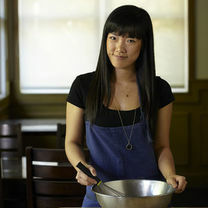 She has recently returned to academia as part of the faculty at The Culinary Institute of America in St. Helena, California. "Packing up the second round of #fallallocation chocolates." "Crispy peanut butter eyeballs are back!" "Maybe too cute to eat. #tarantulas"
"Casting the shells for the Luther Burbank plum bonbon. #allocation"
"Oooh! Napa valley Anjou pears hand-dipped in dark chocolate. #readyforfall"
"Homemade marshmallow and graham crackers dipped in rich dark chocolate… Really, need I say more?"